Since 1960, Sacks Tierney P.A. attorneys have resolved their clients’ legal problems with a combination of talent, creativity, professionalism, and integrity. Listen carefully to the goals her clients wish to accomplish. Explain the scope of the legal representation being offered to clients in such a manner that clients clearly understand what is to be gained from the legal representation. Stay current with new laws and regulations regarding taxes and post-death legal issues. Phoebe Moffatt’s practice focuses on estate planning, including the preparation of revocable living trusts, wills, health care powers of attorney, durable powers of attorney, irrevocable life insurance trusts, and other revocable trusts. She provides legal counsel to fiduciaries administering a trust or an estate, including assistance with the preparation of estate and gift tax returns, and she assists fiduciaries in the administration process, including guidance on the collection of a decedent’s assets, payment of decedent’s liabilities, and distribution of the decedent’s assets to legal heirs and beneficiaries. Ms. Moffatt offers legal representation in guardian and conservator matters, and legal counsel for certain designated beneficiaries and heirs. She also provides legal counsel in small business formation matters. Ms. Moffatt is a specialist in Estate and Trust Law as certified by the Arizona Board of Legal Specialization, and she is a Fellow of the American College of Estate & Trust Counsel (ACTEC), demonstrating her expertise in these important and complex legal matters. She is named Best Lawyers in America® (Trusts and Estates), an eight time Super Lawyer® selectee, and has earned the Martindale-Hubbell AV-Preeminent® ranking. 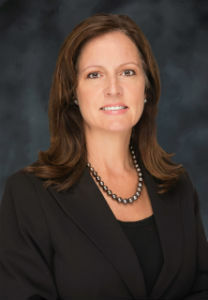 Ms. Moffatt is one of only three attorneys in the Valley to receive the Five Star Estate Planning Attorney award as listed in Phoenix Magazine; and she is listed in “AZ Business Leaders” AZ Big Media, and in “Women Leaders in the Law”, American Legal Media, and ranked the “Top 100 Lawyers in Arizona” by AZ Business magazine. She earned the highest AVVO rating. She is a member of many legal and community organizations. Ms. Moffatt’s fundamental approach is listening to your needs. This allows for the creation of a customized solution that is unique to your personal circumstances, while at the same time providing the protection you and your family need today – and in the future.